Do you want your personal or professional stationery to stand out from the crowd? If so, using QR Codes on stationery could be the ideal solution. Stationery is vital to the way we present ourselves in everyday life. From the business cards we give to contacts, to the invoices we use, and the letters we send to potential clients, stationery is part of almost everyone's life - but few of us use it to our advantage. That's a shame, because by jazzing up your letterheads or thinking about your invoice layout, you can achieve some impressive results, boosting your profile and sales - while making your presentation unique. There are a huge number of ways to enhance your personal stationery, so let's explore some of the most important, and find out how QR Codes can play a crucial role. QR Codes are probably familiar to most readers. But if you haven't come across them, they are square Codes that are usually black and white, with a jumbled-up appearance resembling white noise, and three corner squares. When you scan these Codes with smartphones, they can transport you to wherever their owner wants you to go. Thinking about stationery, this could be anything from in-depth video resume sites to websites for events like weddings or conferences. The beauty of these Codes is that they are instantly accessible to anyone with a smartphone, and can be a portal to multimedia content that you can't fit on appointment cards or sticky notes. Almost all of us send greeting cards throughout the year, but it took Hallmark to realize that they could be enhanced by adding QR Codes. Aimed at kids, their cards included Codes linked to animated short stories, making them a delight to receive. Resumes are one of the most popular applications of smartphone-scannable Codes, and with good reason. You can attach a Code to each application which links to applicable videos or PDF documents in your portfolio, or create expanded resumes to complement your print version. Either way, recruiters love them. Notepads and notebooks can also be enhanced by adding a Code or two - particularly in the classroom. Imagine adding Codes to students’ study books which link to content about the class being taught. That way, students can catch up after class or find out information as they participate. If you use mail outs for marketing purposes, you'll appreciate ways to boost response rates. Adding scannable Codes can do just that, giving smartphone users a quick way to connect to information about who you are and what you can do for them. You might even think about adding a Code to the envelope as well. Even in the digital age, business cards are everywhere. Strategically deployed QR Codes can turn anyone's business cards into something much more interesting, giving contacts a way to find out about the person they have just met, and allowing you to sell yourself via websites, Facebook pages or YouTube videos. As you can see, there's no shortage of possible ways to add these useful Codes to your personal business cards, notepads, letterhead or even thank you cards. But there are some things to bear in mind when doing so. Most importantly, make sure the Code links to useful information. When people scan it, they don't want to have to pass through multiple pages to reach what they are looking for. Keep things simple and relevant. So, if it's a wedding invite, give them details about the time, location and an RSVP link. Or if you're inviting them to a conference, let them know about your workshop dates and contact details for the event. You can also use Codes to break up the text on things like business cards. Place them between key details to avoid contacts needing to read large chunks of text. Finally, be creative with how you design your Codes. There's an infinite way to mix them with text and graphics, so experiment and let your imagination roam. 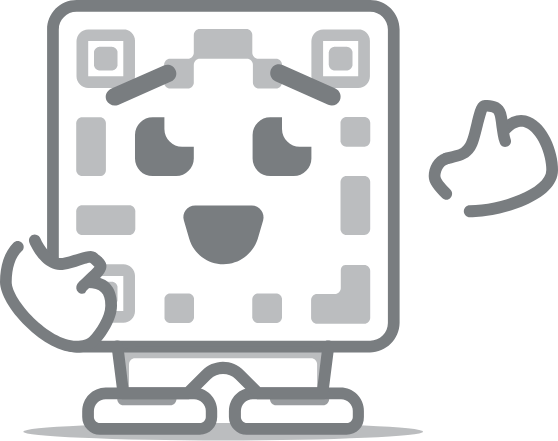 While you do so, feel free to use the print guide and design guide from QR Code Generator. With our tools and guides, anyone can make their stationery more personalized, dynamic and effective.